Abu Dhabi, 17 July 2018: The wait is finally over for Abu Dhabi residents! 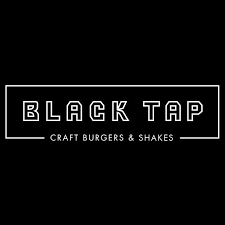 Black Tap – the cult New York burger joint known for its signature craft burgers and famous Instagrammable milkshakes – is now open at the Cascade Dining area of Abu Dhabi’s Yas Mall, right opposite the entrance to Ferrari World. 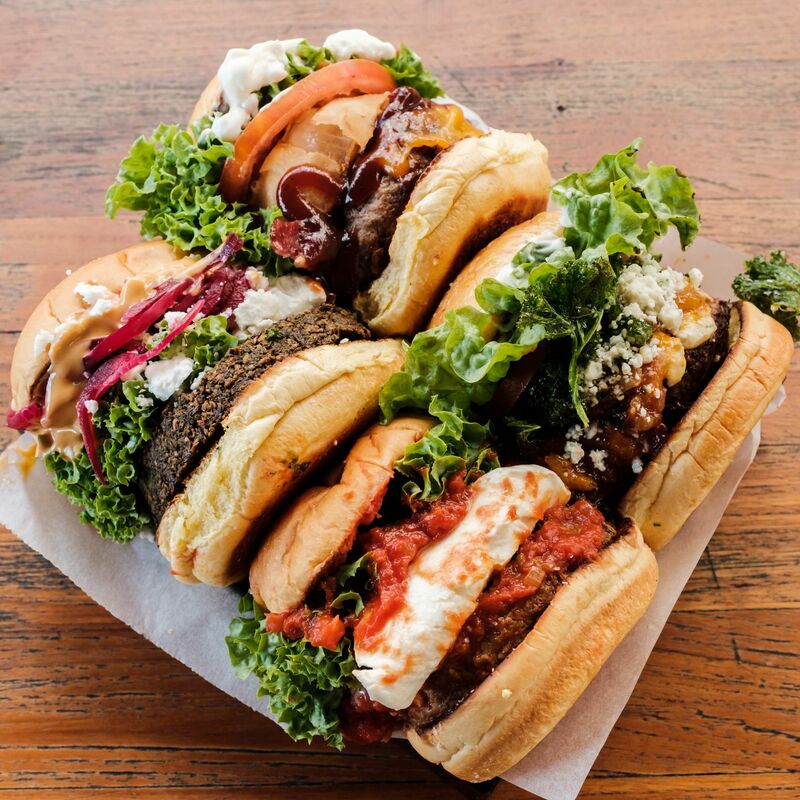 Diners can indulge in crowd favorites from Black Tap’s original New York and Dubai menus, with the award-winningGreg Norman Burger, the classic All-American Burger and the all-natural Californian Burger, which comes served with turkey, avocado, Swiss cheese and truffle mayo, all set to fly out of the kitchen. Other favorites available include superfood salads, spicy Korean BBQ chicken wings, mouth-watering tacos and a wide selection of vegan dishes. Don’t miss out on Black Tap’s famous CrazyShakes™ also making their debut in Abu Dhabi. Guests can choose from a range of favorites including Cookies ‘n Cream Supreme (Oreo shake with a vanilla-frosted rim with crushed Oreos topped with a ‘cookies ‘n cream’ sandwich, crumbled Oreo, whipped cream and chocolate drizzle), Cotton Candy (strawberry shake with a vanilla frosted rim with blue and pearl chocolates, garnished with a pink lollipop, rock candy, whipped cream and cotton candy) and, of course, the Insta-famous Cake Shake (cake batter shake with a vanilla frosted rim, rainbow sprinkles, all topped with Funfetti cake slice, whipped cream, more rainbow sprinkles and a cherry). 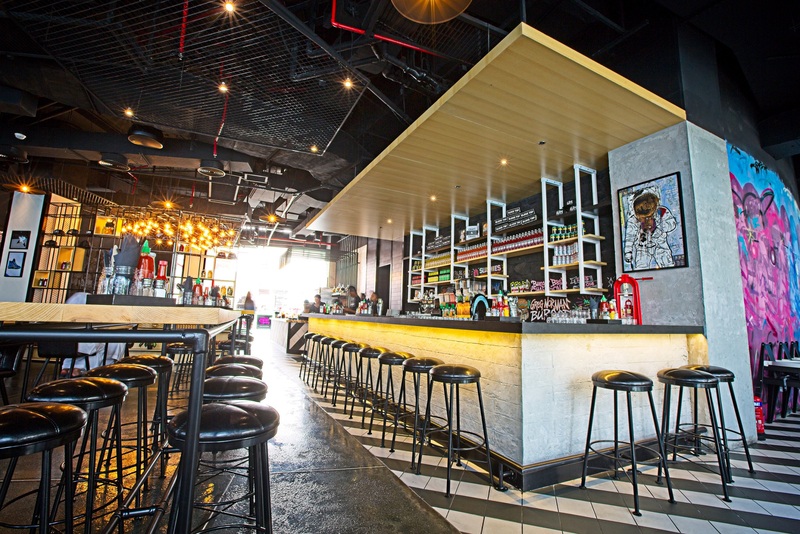 New to the UAE, the popular American luncheonette is also launching a line of creative mocktails and a range of slushies, including the Hawaiian Blue and Orange-Mango Blast, which should be top of your must-try list.